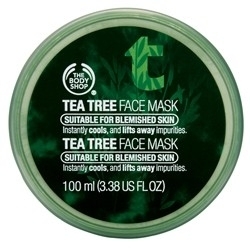 I have tried all manner of masks over the years for my blemish prone skin and purchased a pot of this as I normally have good results from tea tree products. The mask is a clay based thick cream texture which is olive green in colour. It contains Community Fair Trade organic tea tree oil Kaolin clay, menthol and Tamanu oil. 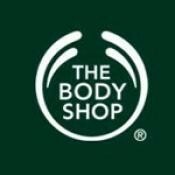 The fragrance is quite strong of tea tree and something very alcohol??! You apply a th9in layer to the face and leave on for 5 to 10 minutes before removing with a damp cloth. After 2 minutes I felt un unpleasant burning sensation and had to remove this quickly. Whilst my skin did not had any drastic reaction after removal, it did feel very dry so I could not re-use this product. The clay base obviously effectively removes oil and grease but in combination with the tea tree it is far too strong. Quite a good mask especially for spot prone skin. I use this when my skin flares up with blemishes and spots as this does reduce the size of them. Regular use helps keep skin clear and spot free. Easy to apply and washes off really well. Does not irritate and skin feels clear, deeply cleansed and wonderful. "I have tried all manner of masks over the years for my blemish prone skin and purchased a pot of this as I normally have..."